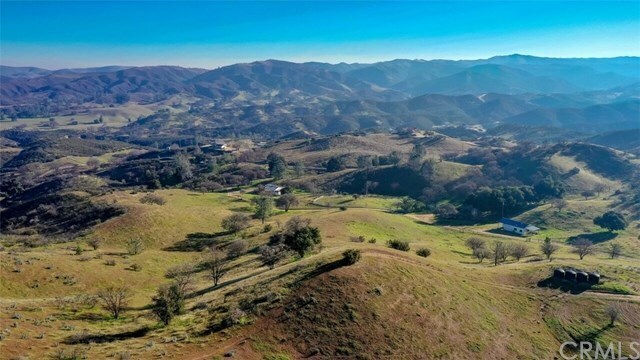 THREE HOMES on your own 42 +/- acre ranch just 20 minutes from Highway 101 outside of beautiful Santa Margarita. This rolling parcel has terrific views and scattered oaks. The homes collectively total around 2,700 sq. ft. and have 6 bedrooms and 4 baths. Two of the homes rent out on a month to month basis for a total income of $2,700. The property has a nice shop with plenty of room for your projects and covered vehicle parking. RV hookup, great gardening and farming spaces. There are horse facilities and plenty of room to ride. Property has fenced areas ready for your cattle. Fabulous terrain for riding ATVâs. Uniquely the ranch has its own Wi-Fi repeater that supplies free high-speed internet to the property. Bring your extended family or rent out the extra homes for income. This ranch has so much to offer and its ready to go. Directions: Creston address, but access on 58 through Santa Margarita recommended. Take Highway 58 about 8.8 miles from Santa Margarita. Blue Rd. is next right immediately after Black Mountain Resort Rd.